Venezuelan President Nicolas Maduro was sworn in before the Supreme Court of Justice to begin a new six-year term on Thursday. 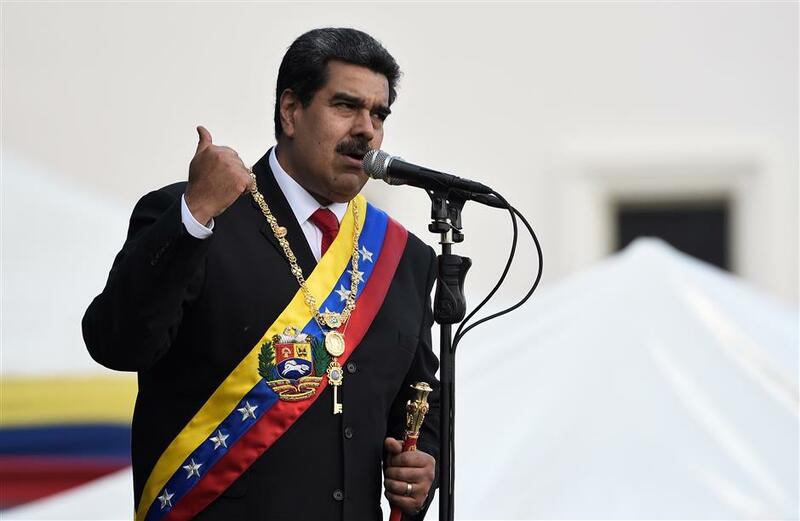 Venezuela's President Nicolas Maduro delivers a speech during the ceremony of recognition by the Bolivarian National Armed Forces after being sworn in for a second term, at the Fuerte Tiuna Military Complex, in Caracas on January 10, 2019. Maduro told the president of the TSJ, Maikel Moreno, that he swore on behalf of the people of Venezuela and that he would fulfill and enforce all constitutional mandates to "seek to defend the independence and absolute integrity of the country." After the inauguration ceremony, the president said the ceremony "was a peace step for the country." "This banner does not belong to me, this banner belongs to the rebellious and sovereign people of Venezuela," said the president. The president stressed that "Venezuela is a profoundly democratic country ... In 19 years there have been 25 elections for all general level positions." He recalled that the May 20, 2018 elections were done "in spite of an international conspiracy to boycott the elections and delegitimize the institutional processes." The ceremony included the presence of all the public leaders, except those from the National Assembly, the majority of which are from the opposing party. During Maduro's swearing-in, delegations from 94 countries "that respect Venezuela" were in attendance, said the president. Those attending included Bolivian President Evo Morales, Cuban President Miguel Diaz-Canel, Nicaraguan President Daniel Ortega and El Salvador's President Salvador Sanchez Ceren. Maduro was elected with 67.84 percent of the votes.